1. a. 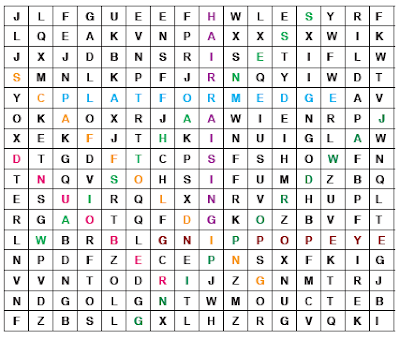 Find the following words in the puzzle. b. Fill in the blanks using the words in Exercise 1a. while kiteboarding. It distributes the power of the kite through your body. 2. Linda was standing excitedly on the platform edge. The young boy counted down, gave her a small push off and Linda’s bungee jumping started. hair-raising extreme sports. I wouldn’t dare to try any of them. They are frightening. 4. Great Canadian Bungee is the biggest bungee jumping base in North America as there is no bigger rebound known in the continent. I suppose it is worth trying. take place. He says it’ll be unforgettable. 6. Tom is a professional photographer. He captures the most exciting and jaw-dropping images of the people while they are doing extreme sports. eye-popping and stunning that we were impressed. 2. 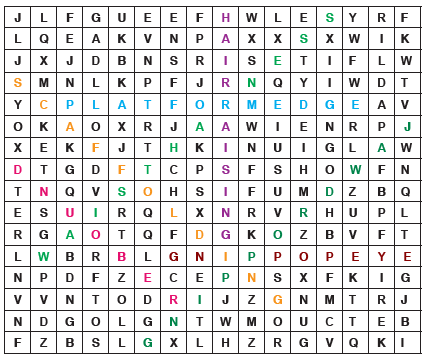 Fill in the blanks using the words from the box. 1. Extreme skiing is done on steep mountain slopes and is one of the toughest extreme sports around the world. It is difficult to understand how people try doing it. 2. Mountain biking is an extreme sport that involves riding bicycles over rough terrains. Most cyclers say that they love to be on their bikes on rocky landscapes. them. In other words, severe conditions of these sports motivate the doers. 4. Extreme ironing, which is held annually in Finland in early July, is a dangerous sport and a performance art. Every year we go there to watch jaw-dropping performances. 5. My brother is seriously thinking about joining “Survivor” as he is a rat race addict. 6. Sports might need athletic abilities, however in general, extreme sports need a very strong mental fortitude to be able to pull it off.